1848  The Heyward-Cuthbert House along with the 50 acres it sat on was sold to Winborn Lawton and became part of Lawton Plantation (3). Captain Thomas Heyward's will probated in 1737 directed that a house be constructed on the 50-acre tract property for his wife and children. It is believed construction was completed in 1740. The frame farm house belonged to Heyward descendants until 1848. 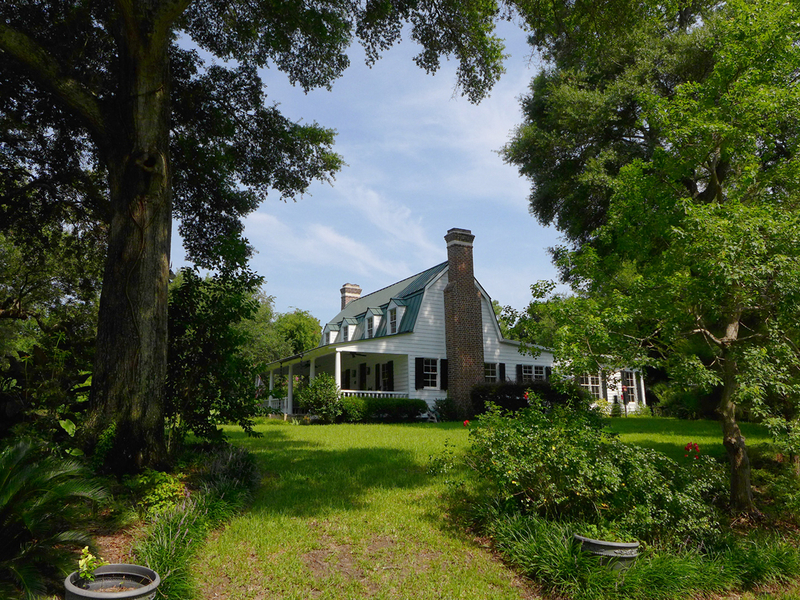 The house is still standing and is thought to be the oldest home on James Island (3) (4). It is believed the house was used as a hospital for black victims of smallpox during the Civil War (3). Early 1900s  The plantation was a dairy called Lawton Dairy (3). 1939-1949  Lawton Plantation was owned by John R. Jefferies. 1958-1960  Nicholas Zervos owned the plantation. 1967  Mr. and Mrs. Melvin Bessinger owned the property. As a child, Clyde Bresee's family moved from Pennsylvania to South Carolina where his father managed the dairy farm at Lawton Plantation in the 1920s. Breese penned Sea Island Yankee as a reflection of his childhood and time spent on James Island.